What lies beneath, between? How do we travel through this space? What identities are transformed or revealed on these journeys? The prefix trans- gives this article its motor – most obviously present in the title of Duncan Tucker’s Transamerica (2005), an independent US film about a pre-op transsexual whose journey across North America turns the road movie on its head. In Tucker’s film, and in others, the liminal is characterised by concepts of transition, rather than stasis. In this article, I’d like to discuss the identities presented in three films caught in a discussion of interlinked global nations, a concept that writers often refer to as the transnational. Unlike former ideologically static theories of national cinema, its transnational permutation recognises what academic Elizabeth Ezra calls the “increasing permeability of national borders”. These three films allow us as viewers to explore how transnationalism recognises boundaries (most obviously solidified as national borders) by suggesting they do not require solidity. The characters in these films by Wong, Tucker and Assayas are often outsiders, strangers in a strange land – that is to say, everybody is – caught in liminal or in-between spaces in a global society. Moreover, and perhaps more interestingly, these transnational characters move through more than merely geographically liminal spaces. The transnational experience (and the identities that constitute it) has created a theory of circular and cyclical motion, both physical and virtual. These theories are rooted in an ideological desire not only to break free of previously held truths, but to refigure the future by clarifying the space of the present. There is an inkling of liberation in the theory, but there remains a sense of entrapment in the condition. Hope is possible, but only in a ‘glass world’ where borders are transparent. 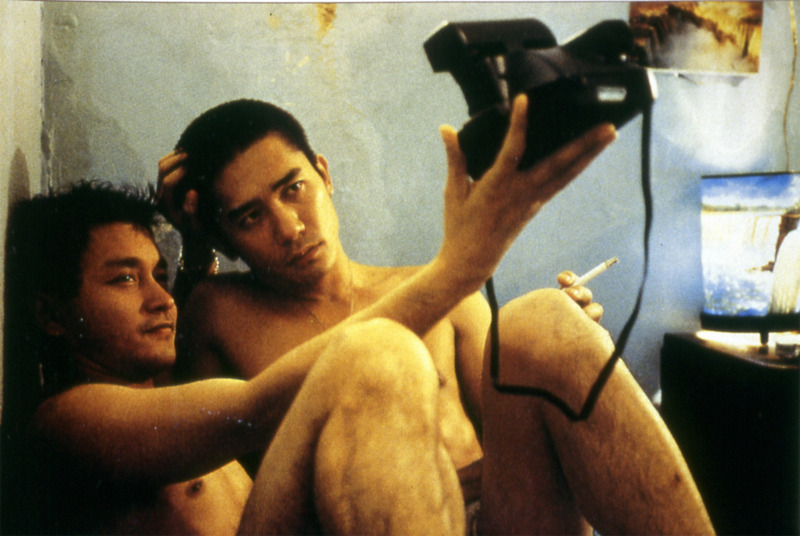 Wong Kar-Wai’s film Happy Together (1997) embodies this and experiences its contradictions and ambivalences: “it’s a love story about being lonely with somebody else”. Wong suggests an alternative future for his protagonist, Lai. He is not happy together with his lover Ho, and has not been, but is allowed a multiple “sense of boundarylessness” where he can continue his quest. It is an unresolved state. The “everyday, historically alert, reflexive awareness of ambivalences in a milieu of blurring differentiations and cultural contradictions” defines the transnational experience. Furthermore, we experience the attempt to unravel (or at least represent) the ambiguity and irony of the so-called ‘interior spaces’ of characters, who are fixated in a constant state of flux. The transnational provokes questions. It is this ambiguity, rather than any definite answer, that concerns me. Take my previous definition, that of characters fixated in a constant state of flux, which accepts the irony that characters are consistently on the move whilst they inhabit interior or closed spaces. Imagine a shuttle shooting through space – the inhabitants are travelling light years and yet they are confined to a metal box. This is their physical predicament, yet psychologically they retain links to the point of departure and the future destination, however clouded this ephemeral destination may be. 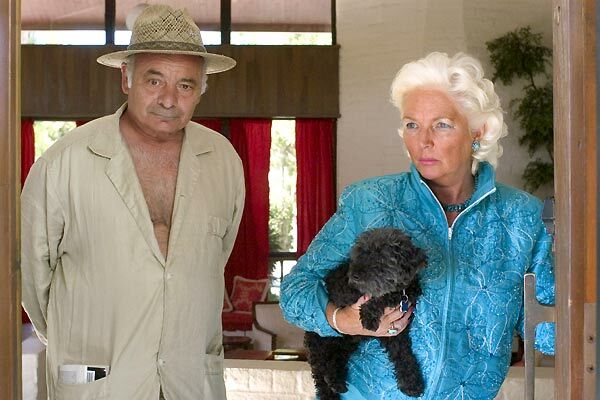 In Tucker’s film Transamerica (2005), Bree is intrinsically linked (biologically, emotionally) to her parents (who she has rejected and refers to as ‘dead’) by her son (her parents’ ‘long-lost’ – and conspicuously male – grandson, cherished hilariously by a garish, scene-stealing Fionnula Flanagan) Toby, who rejects Bree, just as pre-op transsexual Bree is soon to reject part of her body. This seemingly circular motion within fixed space is connected to identity: journeys (Lai’s unresolved immigrant status, Bree’s roadtrip, Maggie Cheung’s elusive search for Irma Vep) are suggestive of self-identification, but the problematically ‘interior’ nature of the (physical and virtual) transnational traveller becomes a resonant liminal space. Although identity can never be “fixed in some pure, authentic state” it is connected to place; thus, the shuttle, the metal box, a cosmopolitan ‘home’, is a point of reference for a multifaceted identity and a start-off point on A. S. Byatt’s ‘boundless’ physical and virtual journey. In Happy Together, Lai’s identity is framed by various concepts. He encompasses both the global and the local. He is Chinese, and shares a virtual proximity to home, language and a knowledge of the familiar with Ho, and retains a connection with home – he feels guilty about stealing from his father and mourns the loss of this relationship. He is in self-imposed exile. This leads to an understanding of the global, as Lai is in Buenos Aires, miles from his birthplace, on a pilgrimage of penance. Bree is forced to postpone the operation in which she will anatomically become a woman, in order to undertake a voyage of discovery with her son (which is facilitated by a Native American – masquerading as a cowboy -, a marginalised figure wearing a mask in his own land), a son of whom she is the father. 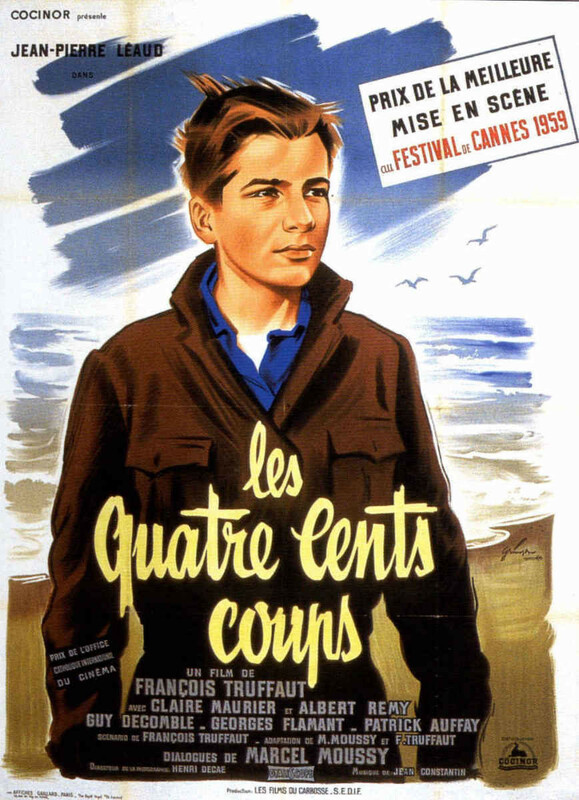 This is also represented metaphorically in Olivier Assayas’ film Irma Vep, where on-screen director René Vidal (played by Jean-Pierre Léaud, star of Truffaut’s seminal film Les 400 coups (1959) exiles himself from “the insupportable weight” of French cinematic history by representing the icon of French cinema, Musidora, as la chinoise, Maggie Cheung. This distancing from the local, or the known, whilst at the same time retaining traces of the same, is key to any transnational identity. It also indicates a separate space, where the global and local overlap, that feeds the idea of identity in the transnational and is the ‘interior space’ that, conversely, is fed by exterior influences and reacts with them. 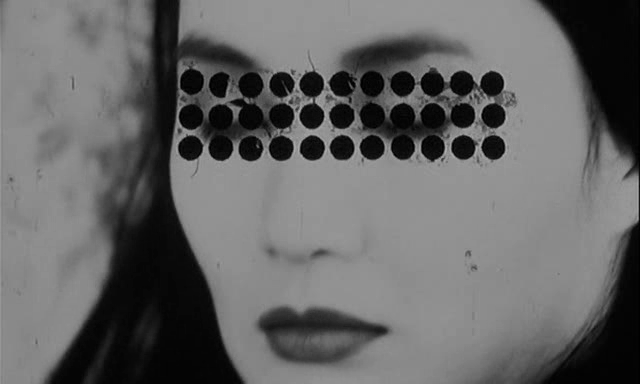 In these films, identity is often wounded, or somehow marked, such as the tumultuous inverted ‘love’ relationship described in Happy Together, the surreal wounding at the end of Irma Vep, when “Vidal… obliterates Maggie’s… performance by covering the image of her eyes with scratches and geometrical shapes”, or Bree’s visceral transformation from eccentric loner to parent. This wounding is a necessary part of the journey inherent in the mobile arc of transnational identity. Unlike perceived notions of ‘happy endings’ and the standardised and listless linear trajectory of the Hollywood stalwart, the transnational identity is beset by reality. Not only is a transnational journey nomadic and nostalgic, it is also at times painful or at least unresolved. Consider the ending to Happy Together. Lai has left the man he once loved and the country they found together, and is in Taiwan after having visited his new friend Chang’s home, although even that relationship remains unresolved. The final image is of a metro station in Taipei which Lai is hurtling towards on his continuing journey, once again a single character in an ‘interior space’ (the train) surrounded by the nightlights of the city and his bittersweet memories (the exterior forces of the global and local), a “perfect image for the film’s non-closure”. However, the state of irresolution is neither necessarily negative nor indeed does this traditional sense of ‘happy’ or ‘sad’ need to figure. Transamerica concludes with Toby’s tentative mending of the relationship with a post-op Bree, although he has not forgiven her by the end of the film – we are left understanding that the process will be difficult, drawn-out, challenging. Irma Vep shows us that an ending, a wounding to the film-reel, can also be a new beginning for French cinema, however controversial that may be. As academic Jeffrey Tambling says about Happy Together, films like these “tap into this schizoid form of existence…. That they enjoy so many moments which are not quite melancholic, is something positive”. A transnational identity, then, faces a long, nomadic, unresolved journey, where there is an equal measure of hope and disappointment. Certainly, Tambling suggests that the trajectory of the characters in Happy Together is both physically and virtually a disappointment. It is a failure in traditional terms, arguably through the literary affectations of Wong and his attempt to channel Manuel Puig, and through the romantic failure of the central characters. It has been suggested that “they are not happy and they seem trapped in the ends of time, without future”. However, the traditional sense of happy together is not the key sensibility in this argument. In all the films, “relationships are characterised by evanescence and a sense of missed opportunities”. But it is this transient and ephemeral state that best defines the transnational identity and gives it its motor, its life. There is no static or weighted sense to this theorising, but rather a sense of mobility and impermanence that allows the characters in the films to travel through liminal spaces with ease. Consider the multitude of liminal interior spaces in the films: the apartment in HHHaHappy Together, a “pulsating, restless, baroque atmosphere”; the car in Transamerica (where Bree and Toby cement their friendship) that is eventually stolen, along with the symbols of Bree’s incipient womanhood, her hormone pills; the way Maggie Cheung is consistently shunted from place to place, encapsulated in her ride through Paris on motorbike with Zoé, which although a classic image of freedom and happiness is skewed by her uncomfortable relationship with Zoé. Maggie’s ambiguous status as the nomadic ‘star’ of a non-movie puts her on Byatt’s “long, long roads stretching ahead”. When Bree and Toby finally make it to California, they remain separate; when they finally meet, Bree says she might get a new apartment, might move on – their journey as friends, as father/mother and son, is not, and may never be, complete. Particularly interesting is writer Stephen Teo’s evocation of the inner movement of the ‘interior space’ in Happy Together – it is “pulsating”. That the sense of mobility goes right to the core of the theory of these cosmopolitan pilgrims underlines its evanescence and its amoral nature – not subscribing to perceived human emotive states but challenging them, and moving on. Perhaps not being ‘happy together’ suggests the attempt to discover an identity, or to be on the journey to find oneself, which in itself is life-affirming. In any case, there is no need to search for theoretical completion. As Wong himself suggests, the progress of identity through transnational space is circular and cyclical: “It’s like a circle, the head and the tail meeting”. So, despite audience collusion, this collusion itself is allegorical and has no real status: “we are caught in an allegorical understanding… (that) can only be (understood) allegorically”. However, even if Tambling’s reasoning is correct and the all-encompassing to-and-fro of allegory denies real evaluation of the film, of a transnational landscape and of the self, there is a further irony. The viewer searches for a definition of an ‘interior space’ that does not exist; a space that itself is suggestive of emptiness, melancholy, confusion and unfulfillment. The core liminal space evoked here, then, is the non-space – the space that is a whirlpool or a vacuum; in its disappearing spiral we find traces of identity and refractions of reality that we do not recognise. Cao Xuequin suggests that “truth becomes fiction when the fiction’s true; real becomes not real where the unreal’s real”. This paradox fits well here. 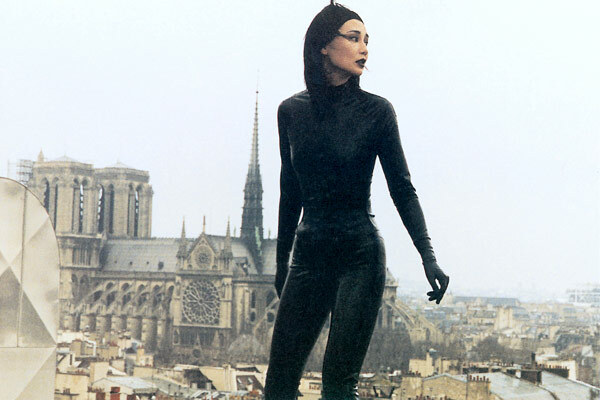 Irma Vep teases the heralded canon of French cinema by turning Musidora into Maggie Cheung, and elliptically, Maggie Cheung into Irma Vep in a film that never gets made. The University of Buffalo’s William Egginton puts forward the case that alternate realities have been in theoretical circulation since the sixteenth century, and his Déscartian conclusion is that “like the phantom object at the end of a series of mediations…Reality was never there”. Here we have two joined concepts. One, that these films represent the only thing they can represent – that is, a construct, or a fragment, which ties in with the poststructuralist background of the transnational. Secondly, that it is done knowingly, and as an audience we are encouraged to join in this reciprocal game. Our ‘interior space’ is the cinema, or front room, and our transnational sphere is the film itself. The interior spaces inhabited and experienced by these films’ characters are a physical and virtual space for them to enact this definition of the transnational identity: within this space, they are fixated in a constant state of flux. In her article “The Case of the Phantom Fetish”, Elizabeth Ezra’s analysis of symbols of castration and fetishism in Feuillade’s Les vampires (a collection of films which themselves precede Assayas’ Irma Vep and are the space that Irma Vep distorts and reconstructs) ends using two key verbs to describe the process; any theorising “both signals and obscures” the conclusion. In the attempt to solidify identity within a constantly moving filmic quest, it is necessary to accept the ambiguity and irresolution of the quest itself. This is the ne plus ultra of a transnational identity. Within this new framework, there exists a way of perceiving reality and irreality, and a way of inhabiting the ‘glass world’, whilst drawing from historical notions of reality: Wong on Puig and Cortázar, Assayas on the nouvelle vague of Feuillade and Truffaut, or Tucker’s subversion of the American road movie, for example. However, this does not mean to say this theorising is apathetic and derivative – on the contrary. It must also, as Beck says, be “ambivalent and reflexive”, multidimensional, “revise the grammar of the social and political”; being fixated yet in flux is a relentlessly active and reactive state.